9/21/08 World Fantasy Convention podcast interview. Listen Here. TOTAL ESTIMATED AUDIENCE FIGURE .................... 5,385,000! These radio interviews were all done in 2008.
not just the potential people who live within the radio broadcast frequency. 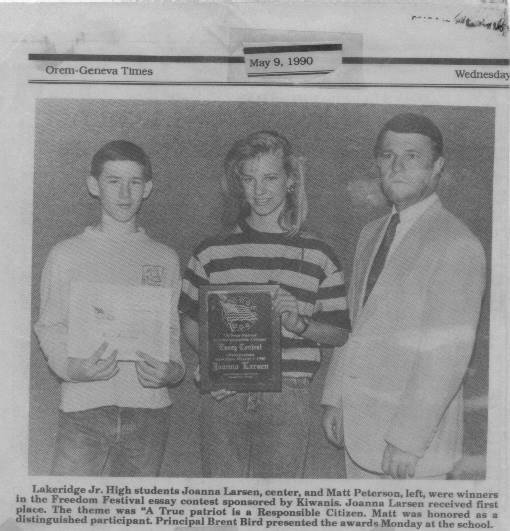 - Old Newspaper articles from 1990: 1, 2, and 3. TOTAL ESTIMATED READERS .................... Over 2 Million! Several million readers also saw ads in The New York Times, The Bloomsbury Review, etc. First off, tell us who you are. 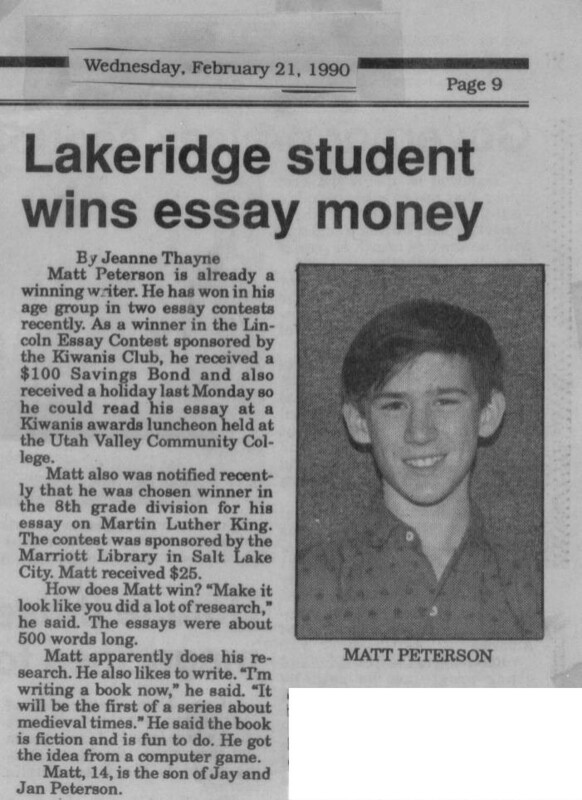 Who is Matthew Peterson? Yep, I’m a computer nerd. I’m pretty good at Visual Basic, SQL, and HTML. In fact, I wrote a couple programs to help me automate this website. Wow, I wouldn’t have guessed. So is that what you do when you’re not writing? I find that quite a lot of my time is with computers, though my wife doesn't always like that! I still remember typing away at my first book on an IBM PC Jr. computer with 256K RAM and no hard drive. My next door neighbor at the time created WordPerfect so we were one of the first families to use it. Back in those days, you had to save everything to 5 inch floppy disks and they were very unreliable. I lost my first book twice because the disks went bad. I had to type it over again from memory. Oh, about eleven or twelve years old. The Sorcerer’s Wand: I had just read the Prydain Chronicles by Lloyd Alexander, the Lord of the Rings trilogy by JRR Tolkien, and the Last Legionary series by Douglas Hill. That’s what got me interested in writing. I wrote about 60 pages and then got tired of the project. I was too young and there were too many distractions. Interesting. So how did you come up with the idea for Parallel Worlds? Well, I started writing about that, believe it or not, when I was thirteen years old. I decided to do a comedy science fiction. At that time it was in first person and the narrator, me of course, was very outspoken. Quite a few things I wrote back then are still in the book today. But, like my first attempt at writing, I lost interest after about six chapters. What were some of the things from your original manuscript that you kept? Oh, let’s see. I kept some of the descriptions and dialogue. The whole idea of parallel worlds. The woman in Simon’s dreams. The Puds. Thorn, Har, Tonya, the dragunos, EM waves, a school of magical learning, getting stuck on Pudo–-I guess I kept most of it, now that I think about it! The biggest thing I didn’t keep was the perspective. I thought to myself that none of the great science fiction or fantasy books that I knew of were in first person so I came up with a new narrator who still had a tiny bit of personality like in the first manuscript but mostly just told the story with an omnipresent viewpoint. I understand that you were twenty-six years old when you picked up the book again. What sparked your interest to continue writing? Oh, I don’t know. When I was younger, people would always ask me what I wanted to be when I grew up and I’d tell them: an author. My dad wasn’t too keen on that idea because authors usually don’t get paid very well. He told me to continue to write but to not make that my only job. Well, of course, I was crushed; but in retrospect, I’d have to agree with his counsel. I still remember to this day the last book I read before I quit the whole writing and reading business altogether. I was a junior in high school, and during rehearsals for a school musical I was in, I’d read Jurassic Park by Michael Crichton. I was enthralled with the action and suspense... (pauses) Oh, I just remembered my very very very first book I wrote. It was a dinosaur book! That was when I was in--I don’t know--second grade. I’d like to see that some time. Looks like you really had a desire to read and write at an early age. Yeah, I was always a bookworm. I remember when I was really young my teacher would take the class to the little kid’s section of the library and then she’d take me to the big kid’s section. I just couldn’t get enough of it. That’s why it’s kind of strange that I stopped reading altogether. So ten years went by, and what got you back into writing? Well, I got married, graduated from college, got a career, had a couple kids, and then one day I found my old Parallel Worlds book. Remember how I said that in the old days, the five and a quarter inch disks were unreliable? Well, a couple years after writing those first chapters, I took a look at the floppy disks and discovered that the files had become corrupted. I was able to retrieve some of the chapters but not all of them. I immediately printed my book and stuck it away somewhere. Many years had gone by and I finally found it again. I read parts from it and actually enjoyed it, but I was still too busy with life, so I kept it in my bag at work as a reminder that I had a talent that I wasn’t using. Months went by and I found myself listening to the Harry Potter books on tape. Maybe it was just the fact that it had been so long, but, again, I was enthralled with the art of book writing. I couldn’t believe how many similarities there were with my book and JK Rowling’s books. I realized that I didn’t just have a nagging reminder stuck in my work bag; I had a treasure waiting to get out. I wrote the entire outline for the first book in a couple days. It was amazing. I’d never felt so guided before. It was like the book wanted to be written. I still had my job, so I could only write at night time, but I ate, drank and dreamed about writing. I put everything on hold, except for my family, my job, and my church. Most of the book was written between the hours of 10PM and 2AM. I rarely left the house other than for work, and I rarely watched TV or movies. My wife was so supportive--she even gave me some ideas. Well, one year later and I was finished with the first draft. Many moons later and I was ready to send it to the agents. The rest is history. So there you have it. That’s my story! And what an interesting story at that. I have a few more questions, if you don’t mind. A lot of people tend to associate the author with the characters that he or she writes about. Do you associate yourself with Simon? Simon is me. Well, he was when I first created him when I was thirteen years old. However, he’s evolved into a different person than me. Sure I was kind of nerdy when I was thirteen but not as much as Simon. I mean--hello!--a fanny pack? Fake glasses? I never had problems with bullies. 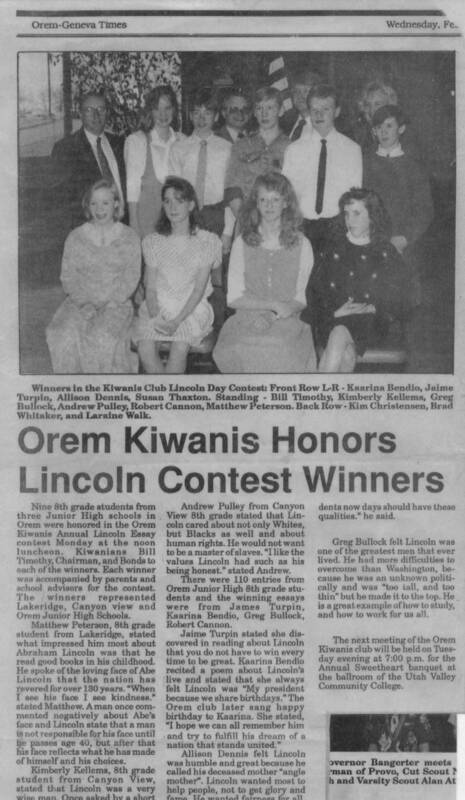 A lot of people knew that I was pretty good at karate and I was overly nice to everyone so they never messed with me (I'm a second degree black belt, if you're wondering). Simon and I were the same at that age regarding our desire to be loved. I wanted friends but I had just moved and didn't have any. Soon after my family had moved, I met a life-long friend who helped me to get out of my shell--just as Simon was able to become more secure after he gained some friends. As I was writing the first few chapters again, I remember watching Return of the Jedi (my favorite movie of all time) and I had an awakening, an epiphany... I realized that I was going in the wrong direction with my book. I had just listened to the Harry Potter books and had thought: "hey, that would be great to finish my book because it’s similar to Harry Potter, and there's a market for this. A kid gets stuck on a planet and discovers that he has wonderful powers and an amazing destiny. Add lots of zany stuff and tons of humor. Have him save the planet and then attend a school to learn magic." I realized that after reading (or listening as the case was) to the Harry Potter books, I was left with a fun and good feeling, but I wasn’t left with the same emotional feeling you feel as you watch the finale to George Lucus’s Star Wars movies. I wanted my books to have that same depth, that same level of maturity, that same life-altering effect on people. I then decided to introduce Tabatha and Griffen earlier than I was planning to introduce them. I deepened the story line to include the Raiders and a parallel story with two other characters who mirror Simon and Tonya in a way. I wasn’t thirteen any more. I needed another character that I could associate with, and so Griffen Lasher was born. I created Griffen and Tabatha for one purpose; although that purpose won’t be culminated until the second to last book. Will you give me a clue with what's going to happen with Griffen and Tabatha? Well, Matthew, let me ask you just one more question. Parallel Worlds. It seems like such a profound concept. Do you believe in parallel worlds? No, I don’t. My book is totally make-believe. Sure I believe that God created millions of other worlds like ours with people who look just like us and are dealing with many of the same problems we face, but I wouldn’t limit God in his ability to expand the universe. He’s been around for billions and billions of years–multiply that by the largest number you can think of and that will still only be a minute fraction of the time He has been in existence. To say, that in all that time, Earth was the only place He ever put his children on is absurd. By children, I mean us. I can see you've put a lot of thought into this. It seems logical to me. Mankind has always been so caught up in themselves. People need to remember that the sun doesn't revolve around us... and neither does God. We've only had human life on this Earth for a few thousand years. Do you think God just twiddled his thumbs for all those billions of years and then, all of a sudden, got this great idea to create a world and put people on it? No, I suppose not. Interesting. Something to think about. That's what I like about your writing: You're always getting the reader to think a little deeper. Matthew, I appreciate speaking with you. You’re a remarkable person. It’s been a pleasure.